Does your fireplace need structural repairs? Over time and many heat cycles the masonry holding your fireplace together can become cracked and you’ll start to notice loose brick or stone. There are other indicators as well such as the fireplace leaning to one side, or starting to actually collapse in some circumstances. 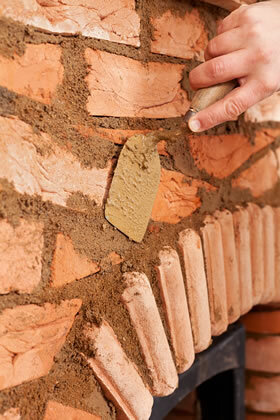 If your fireplace and chimney has cracks in the mortar then you’re going to need structural repairs. What Causes Fireplace and Chimney Cracks? Often water intrustion and really cold weather (freezing weather) is the cause for a great deal of chimney cracks and structural issues but it’s not as big of an issue here in California. Believe it or not, small earthquakes (which we’re prone to having) can also cause extensive damage to your fireplace and chimney. They weren’t really designed to move very much so even the slightest movement can cause cracks. If your house foundation is settling, or maybe you’ve completed some extensive renovations these can also cause fireplace and chimney damage that was unexpected. Last but not least is the possibility that the chimney and fireplace were just poorly put together. 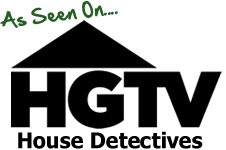 We run into this often and it’s often no fault of the homeowner as they may not have been the original owner, or the person who installed the chimney. What Can Go Wrong With a Cracked Fireplace or Chimney? What Do You About Your Damaged Chimney or Fireplace? If you are actively using the fireplace then both the fireplace and chimney must be in good working condition. Consulting with a fireplace and chimney specialist would be a wise idea if you feel there might be something wrong with your fireplace. With a very thorough inspection a fireplace specialist can determine what (if any) repairs need to be made. Who Provides Fireplace Structural Repairs in Marin County? Sierra West Construction is a fireplace and chimney specialist based out of Marin County. We specialize in structural repairs for both your fireplace and your chimney. If repairing your chimney is beyond replacing a few bricks and you need the help of a professional than give Sierra West Construction a call or fill out one of our online forms today.